The solution Gillette’s commercial promotes is totally on point and correct: Acceptable standards for male behavior can’t change for the better—including rejecting bullying, mindless violence, and sexual harassment—without men pushing and inspiring each other to be ‘the best men can be.’ This message is not emasculating or anti-men, as is being charged by many of its critics, some of who have been angered to the point of declaring a boycott of all products made by Gillette’s parent company, Procter and Gamble. However, the new ad campaign, which replaces Gillette’s long-time tag line, “the best a man can get,” misses badly in execution with a misguided, oversimplified, and even downright incorrect illustration of the problems it hopes to inspire men to solve—while hopefully picking up a few Gillette shaving products, lest we forget. What Gillette’s new ad ultimately shows is decades of expertise and experience, understanding men’s shaving and grooming needs, does not translate into an expert understanding of what and who determines the quality of a man. The question of how to define, set, and achieve a healthy standard of manhood has been a preoccupation of mine beginning in early boyhood, when I was repeatedly told, as the oldest male child of a divorced single mother and absent father, that I was expected to be “the man” of the house. Since then, defining and aspiring to excellent manhood has been a common thread of both my personal and professional lives. As a Christian, I’ve always sought to behave as a “godly” man would. Being the best man I could be was also a standard I strove to meet—and often fell short of—as a husband and a father. Modeling healthy, responsible manhood for my three daughters, and teaching it to my only son, remains a critical priority for me even though they are all adults and on their own. 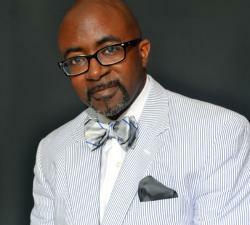 As a veteran journalist, editor, and media professional, I’ve devoted much of my career to celebrating and inspiring excellence in black men, most recently as a co-creator of the BLACK ENTERPRISE BE Modern Man campaign and annual Black Men XCEL Summit. Also, differentiating between merely adult males and grown, healthy manhood is a key tenet of the Grown Zone (GrownZone.com), the relationship education platform I created in partnership with my wife Zara D. Green. In the Grown Zone, I passionately argue that healthy relationships between men and women, including marriages, cannot happen without challenging and changing unhealthy gender-role models and beliefs (such as “men are hunters”). Gillette hired a female director for a campaign to tell men they need to step up to hold other men accountable. I have no doubt that Kim Gehrig, of the UK-based production agency, Somesuch, is more than technically qualified for the job. However, to hire a woman for this particular campaign, to make this particular point, is just tone-deaf, in the same way it is when, for example, an all-white panel is convened to discuss the lack of diversity in an industry. (Believe it or not, this happens at conferences nearly every year.) If this campaign is about men holding other men accountable, then a qualified man should have been hired to direct and deliver that message. If this was just about selling razors, such optics wouldn’t matter. But in this case, it does. 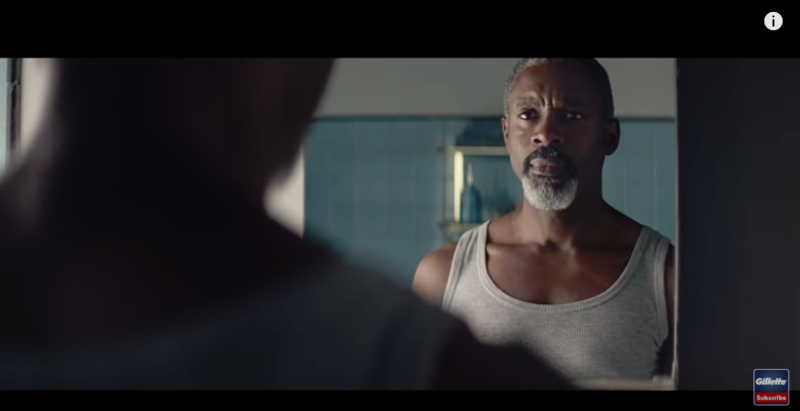 Gillette’s failure to recognize this can do nothing, but distract from its well-intended message and provide ammunition to the ad’s critics. Gillette presents bullying as a male phenomenon. Anyone who remembers middle school or has seen the film Mean Girls knows bullying, ranging from verbal abuse and physical brawls to tormenting via social media, is not a problem defined by or limited to male behavior. Both boys and girls have been driven to suicide by bullies of both genders. To present masculinity as a root cause of bullying is both wrong and irresponsible. Gillette presumes that boys learn behaviors such as sexual harassment and other mistreatment of women primarily from their fathers and other men. However, mothers and other women in a boy’s life play at least as important a role in shaping his behavior and treatment of women. A common example are those women who hold their daughters to a high standard when it comes to their sexual conduct, including admonishing them against promiscuity, while taking pride in how much attention their sons garner from girls and even adult women. In too many cases, when their sons manipulate, mistreat or disrespect women, they are more likely to blame those “fast” girls as they are to teach their sons the standard of sexual restraint and responsibility they expect of their daughters. The fact is mothers are just as responsible for teaching boys how to treat or mistreat women as men are. And sadly, as illustrated by both the Supreme Court confirmation of Brett Kavanaugh as well as the decades-long abuse saga of singer R Kelly, toxic male behavior is just as likely to be promoted, defended, and justified by women as it is by men. Women are as likely as men to say things like “boys will be boys” or “men need to sow their wild oats.” In fact, I learned what it meant to be a “fast” girl from women, not men. On the other hand, the biggest influences on my becoming a man who views women as people to respectfully relate to, not objects to be used for my pleasure, were my mother and aunts. Toxic behavior is not determined by gender any more than it is determined by skin color. Male babies aren’t born sexist any more than white babies are born racist. The common toxic contaminant of human behavior is not gender or race, but unchecked and unequal power and privilege. As the saying goes, power, unchecked by the recognition of and respect for the humanity of others, corrupts. Men are more likely to engage in sexual misconduct because they generally enjoy power and privilege over women — just as white people are more likely to engage in racist misconduct because they generally enjoy power and privilege over non-white people (and adults like Kelly are positioned to exercise power and privilege over children). Women and people of color who find themselves in positions of power are not inherently immune to the temptation to abuse it. That Gillette’s ad inadvertently gives credence to the idea that masculinity is inherently toxic is its biggest failing, ultimately doing damage (hopefully not irreparable) to its laudable campaign to inspire men to do and be better.